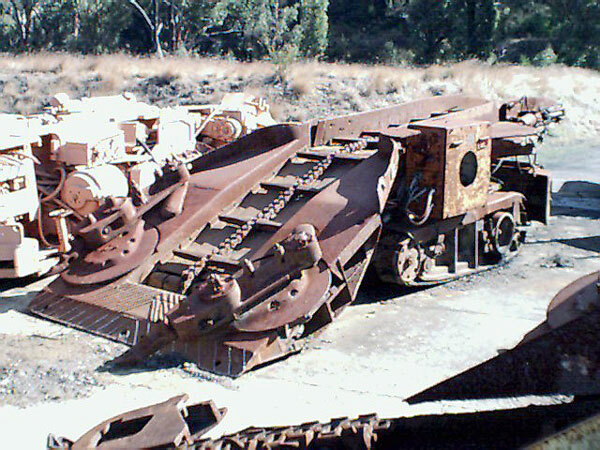 Here is a selection of the mining equipment exhibits at State Mine. 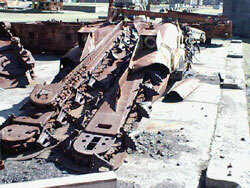 Jeffrey "Arcwall" 29U Coal Cutter (MDA/G307). In use at the Kandos No. 2 and No. 3 Colliery. Jeffrey L400 Loading Machine. 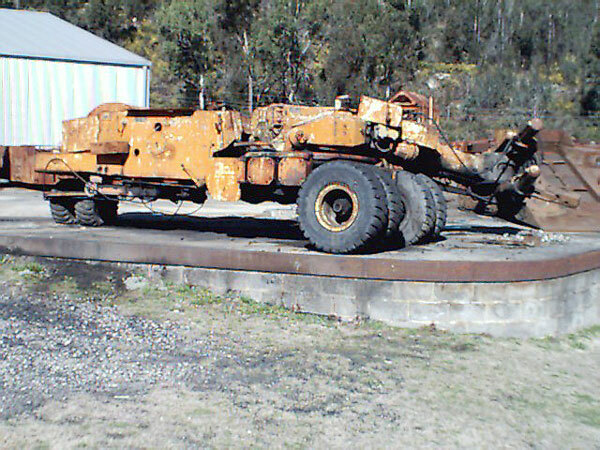 Manufactured 7 June 1939 and was used by Kandos Colliery. Was the original loader at Kandos No. 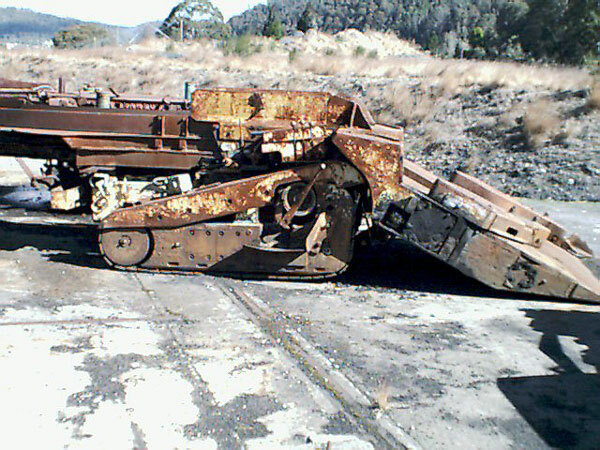 2 Colliery. Ceased being used by September 1964. MAC Samson Loader. Made by Mavor Coulson Ltd. of Glasgow and used at Blue Mountains Colliery. Joy 11BU/11APHH Coal Loader. Built: 26 April 1960. Used by Australian Iron & Steel Pty Ltd.
Joy Continuous Miner 1CM. Introduced 1953 - the first drum head design developed. This unit was operated from 1957 to 1972 at the South Clifton Colliery - South Coast (donated by North Bulli Collieries Pty Ltd). Lee Norse Continuous Miner. 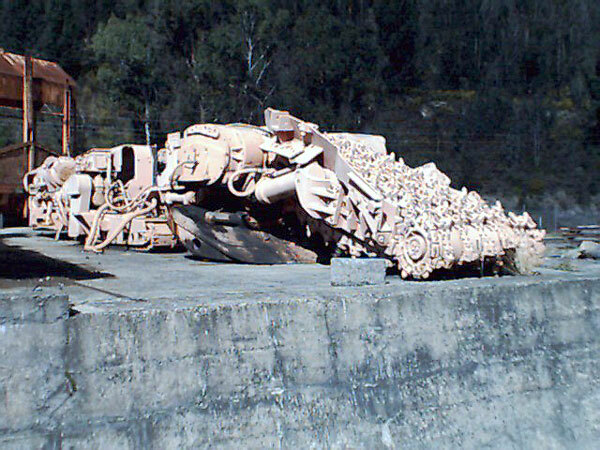 Used at State Coal Mine, Lithgow. 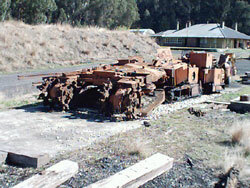 After closure of State Mine in 1964, was transferred to Blue Mountains Colliery. 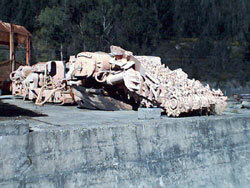 Donated to SMHP&R when that mine closed in January 2000.